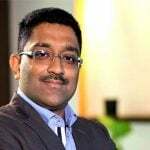 Kalyan Kumar B is Corporate Vice President and CTO, IT Services at HCL. AI will continue to be a hot topic of discussion in 2019. It’s getting attention from start-ups, enterprises, vendors, media, research firms and government institution to name a few.